‘Tis the season for New Years’ Resolutions (NYRs). And while I don’t believe we should wait for the new year to start living our dreams, now is as good as time as any to start planning for your success! The key to having successful NYRs is to have a plan! It’s not enough to say, “I’m going to lose weight,” and join a gym. Many NYRs fail in January because we don’t incorporate key elements to succeed. Here is the basic framework if you want your NYRs to be successful. Have a plan. Signing up for a gym membership won’t get you all the way to your goal. You need to have a detailed plan. How many times a week are you going to work out? What type of work out will you be doing? If your goal is to start a new business or lose 10 pounds, you need to build a plan around how you will reach your goal. Put it on a schedule. Often we fall victim to the “when I find time” mentality. The problem is, time can’t be found. You have to carve it out of your schedule. Write down when you will be working your plan, and stick to it! Make sure your plan is a rock and not a water priority. You can read more about that here. Create accountability. The chances of us succeeding increase dramatically when we are accountable to someone. This is an external motivator not to fail. You can read some ideas of how to create accountability here. 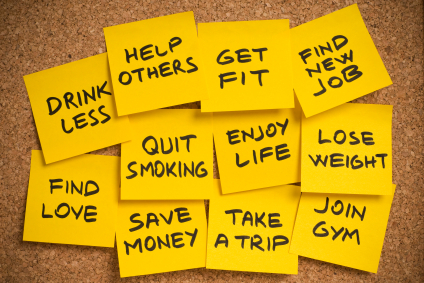 If you do these things, your resolutions, whether made at the beginning of the New Year or not, have a higher chance of succeeding. Don’t put off achieving your dreams because of the time it will take for them to become reality. Would you rather live in a reality where they came true or in one where they never came into existence?